Vancouver is located on Canada's western coast and is a popular destination for gay tourists year-round. Not only does this British Columbian city have a thriving LGBT nightlife, but it also has several great gay bathhouses you can visit on your trip. If you're looking to get a little steamy and socialize with some fellow gay men, there are many saunas located within a few minutes of downtown. On the other hand, you can also travel a little outside the city to Steam1 in New Westminster just to the southeast of Vancouver. No matter which bathhouse you decide to visit, remember to always follow posted etiquette and consent guidelines. These bathhouses are all-inclusive and "no-judgment zones," meaning that men of every size, shape, color, and religion are welcome. This is a large and nicely maintained gay sauna, always drawing a substantial and diverse crowd. The 6,500-space on the second floor of a building along busy Davie Street, and it has private rooms in three configurations, a 12-man hot tub, a pair of steam rooms, a very playful maze, and a quite cushy lounge with a TV, leather sofas, and a fireplace. Of Vancouver's three bathhouses, F212 Steam Vancouver has the best location in terms of the West End gay scene—it's right on Davie Street, a mere stone's throw from several of the city's biggest gay bars and clubs as well as a short walk from a number of hotels and gay-friendly bed and breakfasts. Check out PumpJack Pub or Junction Bar for a drink or head over to Numbers Cabaret for a night of entertainment and dancing. Just a 10-minute cab ride away from F212, Steamworks Vancouver is part of the enormously popular Steamworks brand, which also has gay bathhouses in Berkeley, Chicago, Toronto, and Seattle. This beautiful and very popular gay sauna on the edge of downtown and just a few blocks from Gastown and Chinatown is a bit of a walk from the Davie Street Gay Village. Steamworks Vancouver is open 24/7 and has lockers starting at quite low prices during the day, all the way up to extra large rooms that run up for up to $55 on weekends. Theme nights such as Bulge and Lights Out Night bring in especially good crowds, and Steamworks really packs them in on Friday and Saturday nights. Although not exclusively gay, the Hastings Steam & Sauna is a Finnish-inspired steam bath that offers private group rentals, private steams, and public accommodations as well. Established in 1926, Hastings was the first wellness spa established in Vancouver, hosts a diverse crowd, and welcomes guests of all shapes, sizes, and sexualities. The other bathhouse in the Vancouver metro area is Steam1, which is actually out in the suburbs in the city of New Westminster, a 35- to 45-minute drive southeast of Vancouver's West End. While this is a nice, clean, well-cared-for venue, it tends to not be of much interest to tourists because of its suburban off-the-beaten-path location. That said, if you're without a car, you can still easily get here via the handy Vancouver Sky Train metro, as the Columbia station is just a few steps away from Steam1. 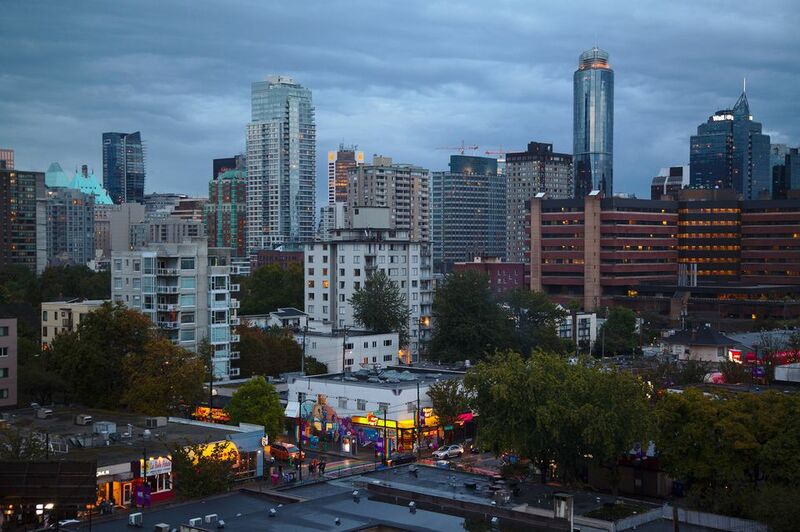 You can also stay the night in one of Vancouver's LGBTQ-friendly hotels and bed & breakfasts if you want an all-gay experience on your trip to the city. Remember to book reservations ahead of time—and that you can stay at the bathhouses as long as you like, too!